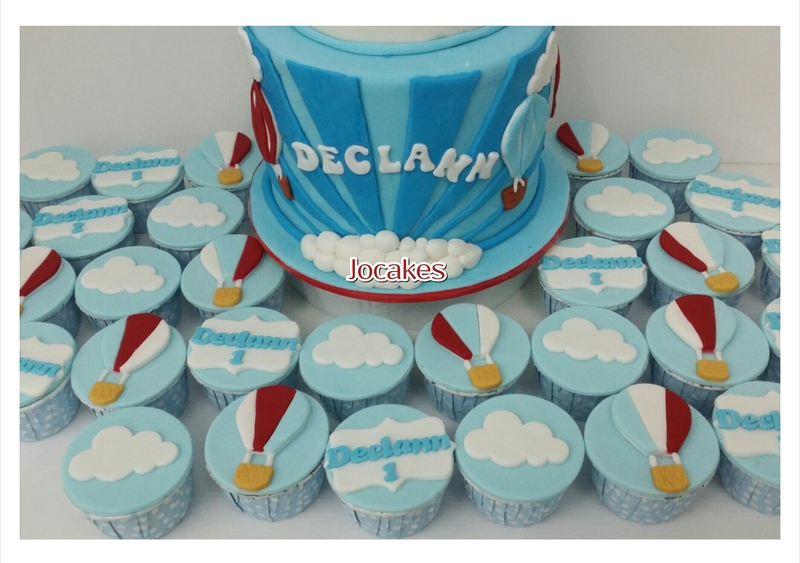 For more of pictures viewing, please go to http://www.facebook.com/jocakes to select whichever categories you are interested in. 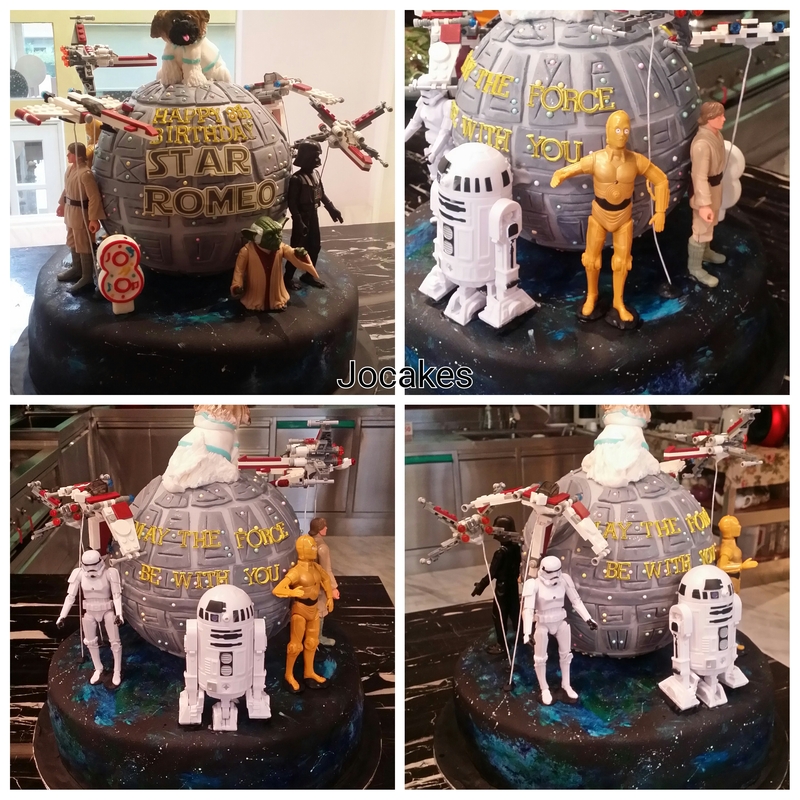 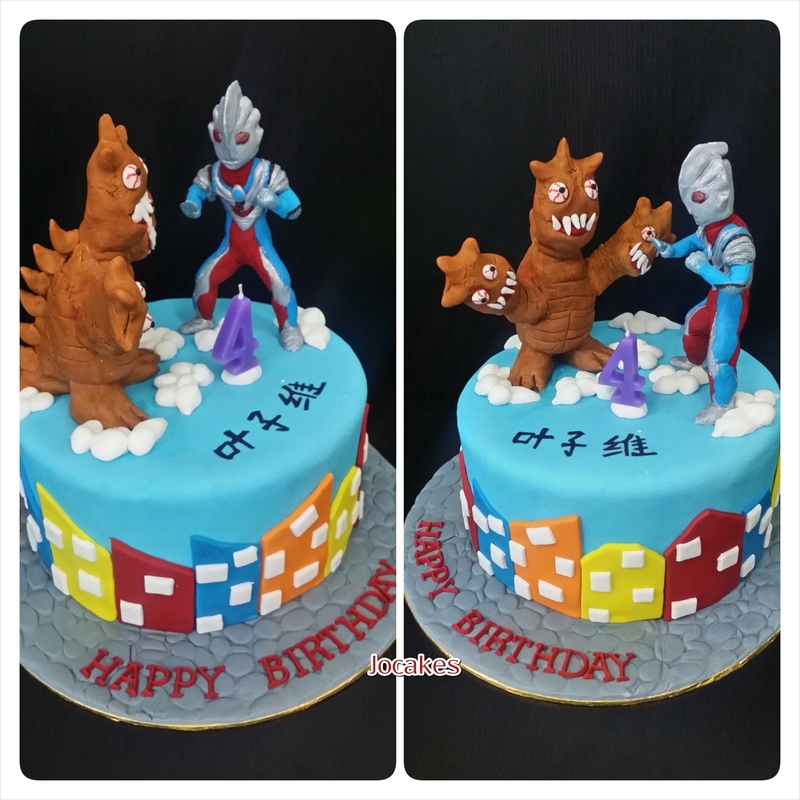 Please don’t forget to click “LIKE” on my page and I promise to keep you update with more interesting pictures of our upcoming cake creations! 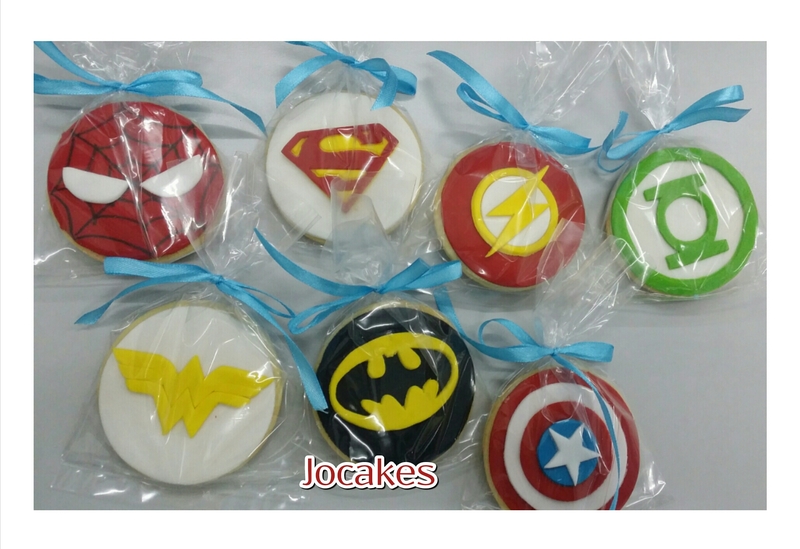 If you like to order or make inquiries, I would suggest you pm me in my facebook page or whatsapp me at 0123681287. 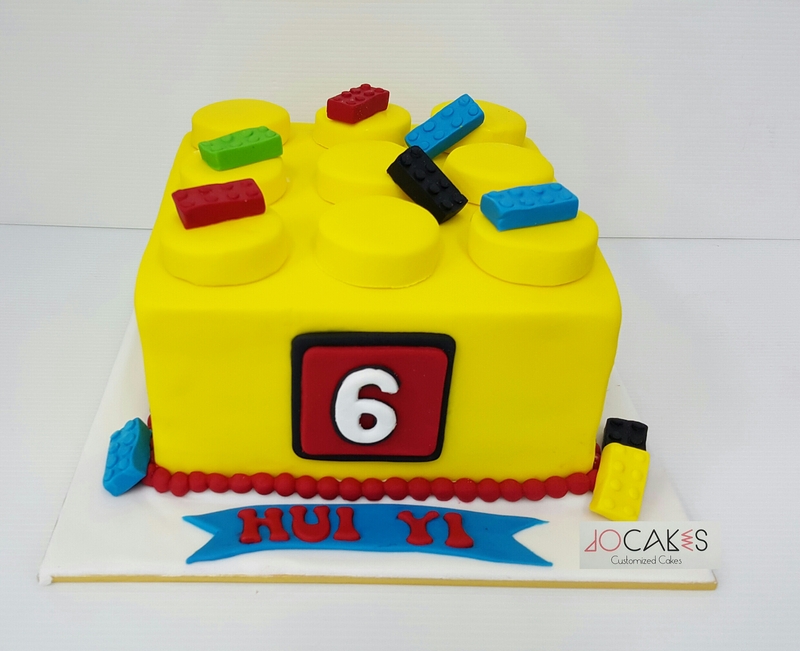 Please make booking at least 2 to 3 weeks before or more for a more complexity design to ensure I devote more times to make a nice cake. 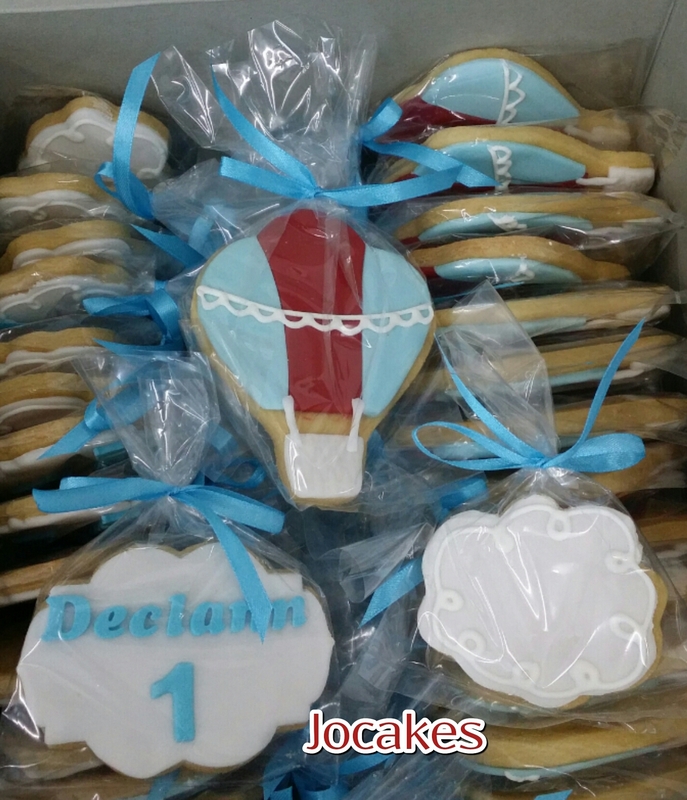 Last minute order will be considered and accepted if there is allocation on the slot. 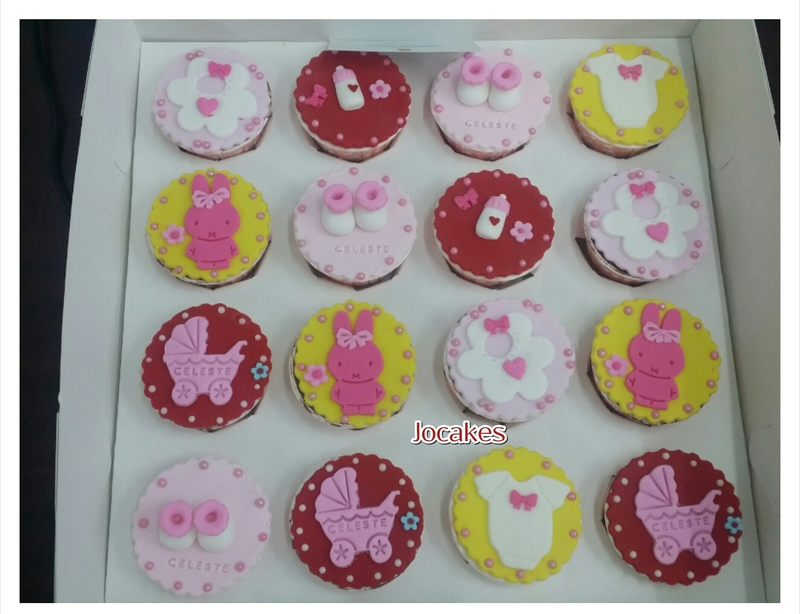 You may whatsapp me for immediate response regarding your customized cakes. 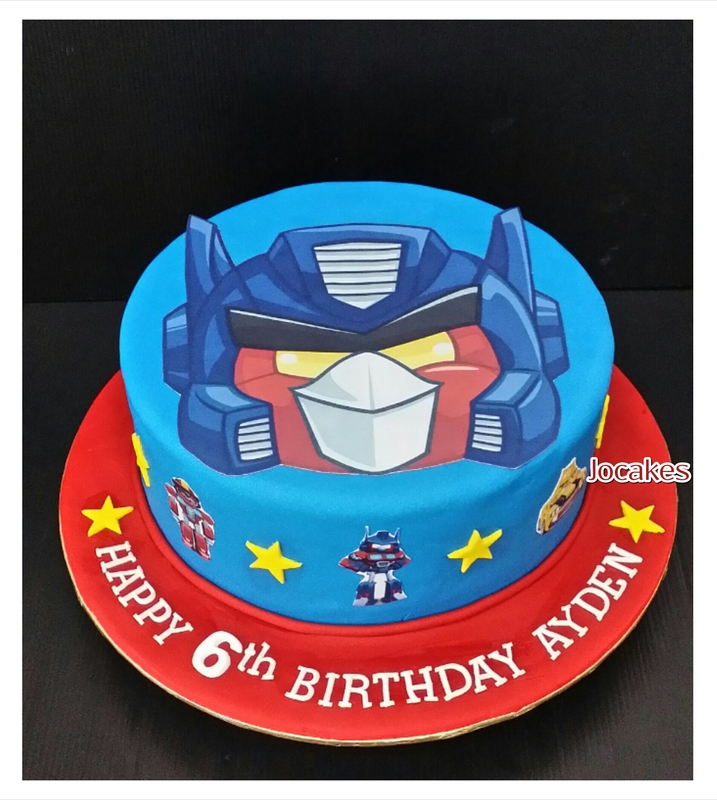 As again, our cake pricing is basically based on design and then on the sizes. 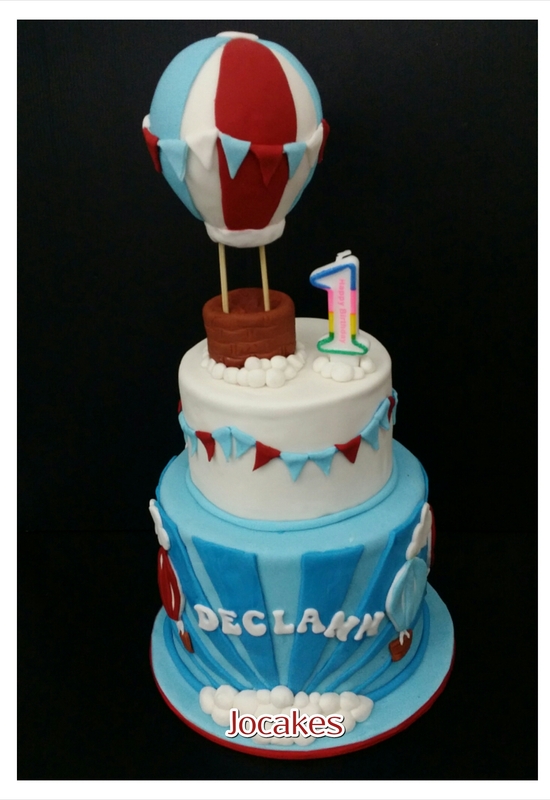 We do not sell our cakes by weight but by number of servings as our the handmade sugar designs are heavy! 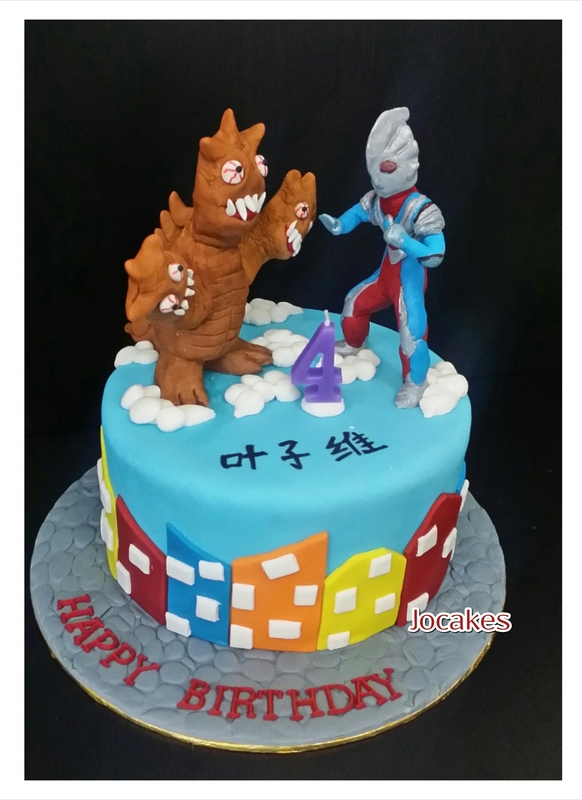 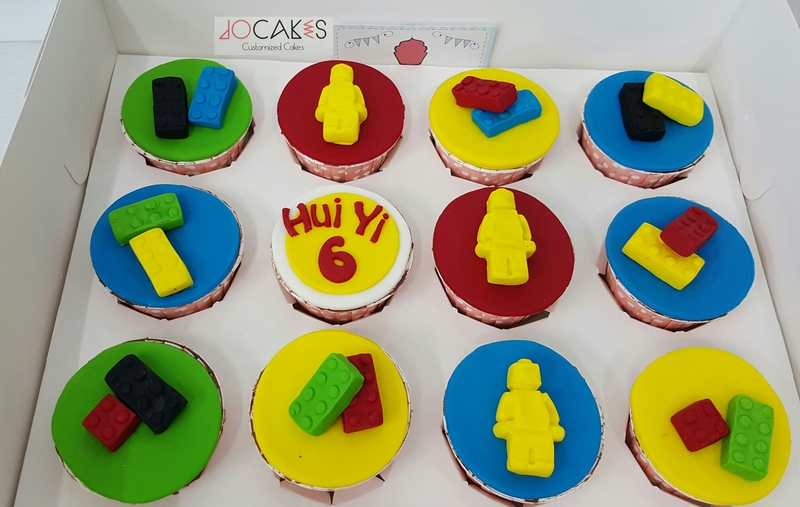 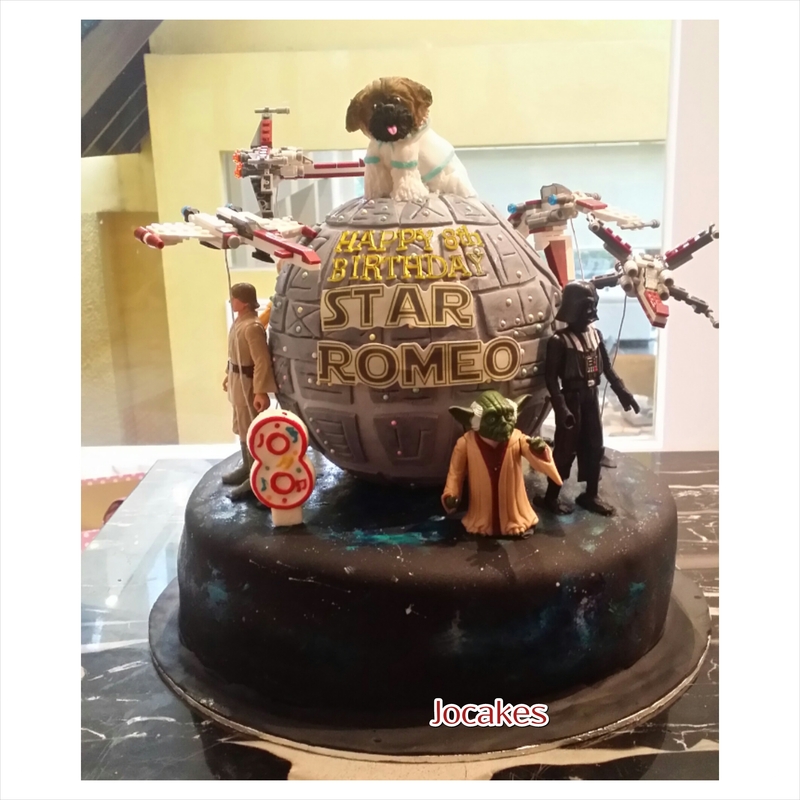 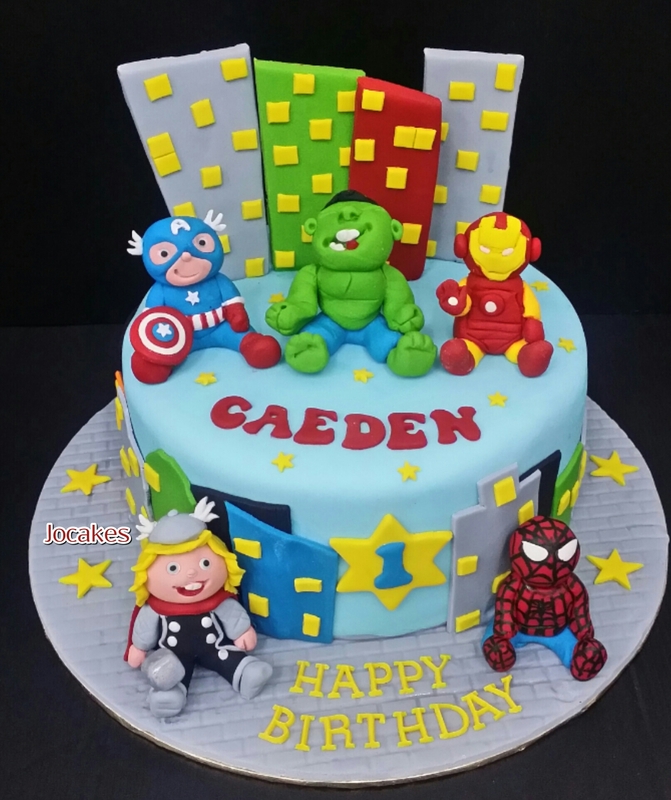 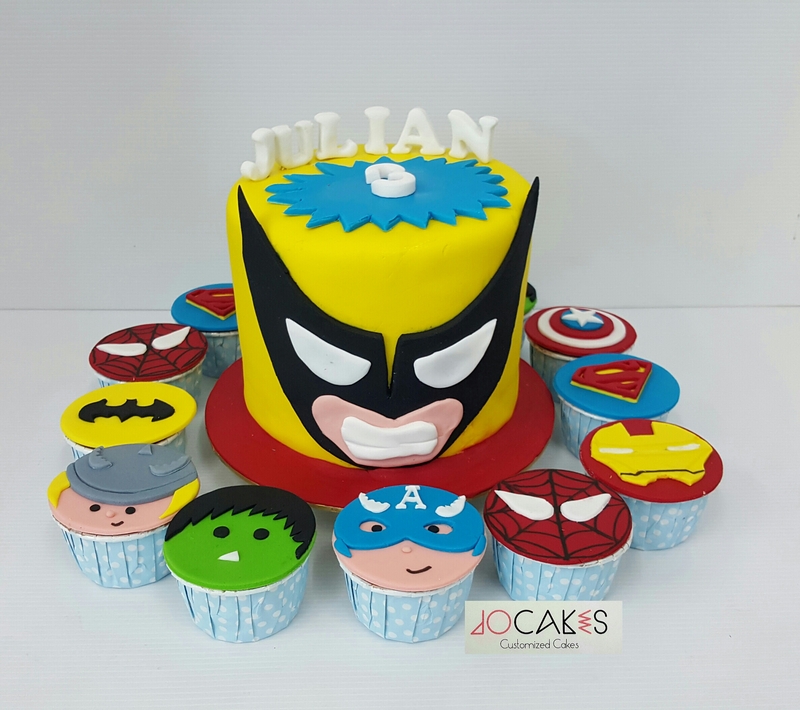 Thank you for your interest in Jocakes and I hope you enjoy viewing! 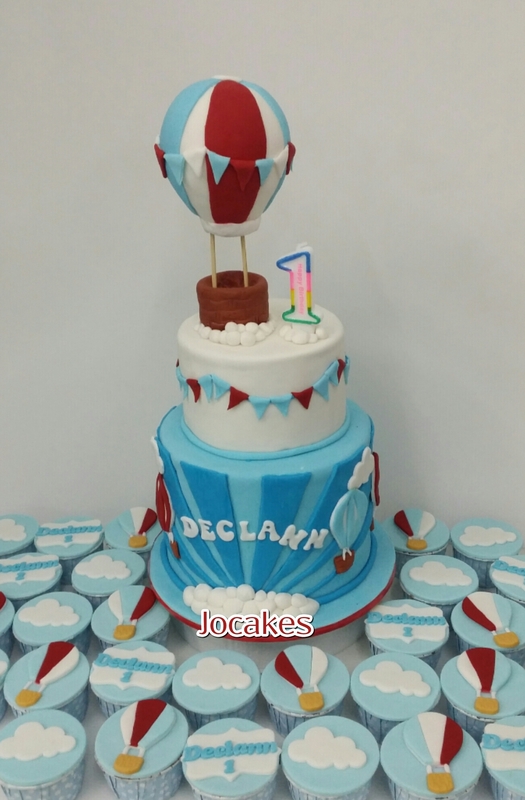 Hot air balloon theme for Declann’s 1st birthday.